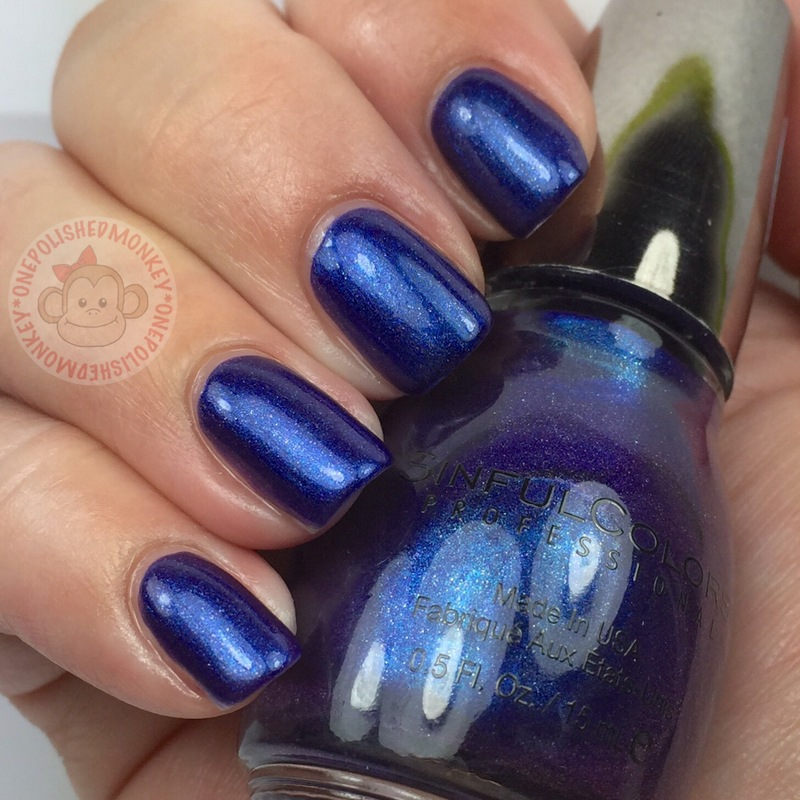 Sinful Colors has hit it out of the park for me with the late summer/early fall release of the Faceted Illusions collection. This 9 piece collection is sure to have something everyone will like. Today I have one of these beauties to show you. Liquid Iris was a little elusive for me when I first found the collection at Walgreen’s. The display hadn’t even been put up, but my Walgreen’s Beauty Advisor knows what I’m looking for when I walk in. She pulled this display from the back and we went to work on unloading the polishes. I thought I had found all of them since 8 seems to be the norm for their all new collections. I was surprised when I saw that there was a 9th polish that I didn’t have. I went back to Walgreen’s a couple days later to give them a chance to put up the display and found my missing polish. Yay! Happy dance. Two coats is all it took to become opaque and like with most Sinful Colors polish the formula went on smooth and clean up was a breeze.